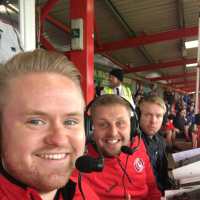 Charlton Live - PODCAST RELEASED - Reaction to Shrewsbury with Lee Bowyer - Get involved! Join us as we look back at yesterday's last-gasp win over Shrewsbury, hearing from Lee Bowyer. Any chance of the podcast? Sunday evening's @charltonlive, looking back at the win over Shrewsbury, is now available.